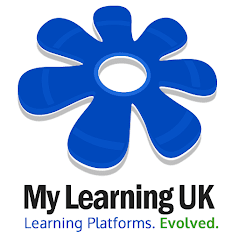 Indeed... we wanted to provide teachers (and students) with a quick way of accessing all the shared content on the system WITHOUT having to be enrolled into a course and formally take part in it. For example, if a teacher simply wanted to run through some existing content for a presentation; or to assign some homework and ask students to take part in an activity. The good news is that all schools now have that feature! School administrators will find a new icon in their shared files called "Activities". This is a directory structure, with thumbnails, listing over 2,700 individual activities on your platform (depending upon which version of My Learning you use). Now, any user on the system can browse this Key Stage tree, and click once to activate their content directly on-screen. It's a great way of students being easily able to access content, and much less formal than building courses. Ideal for younger learners.